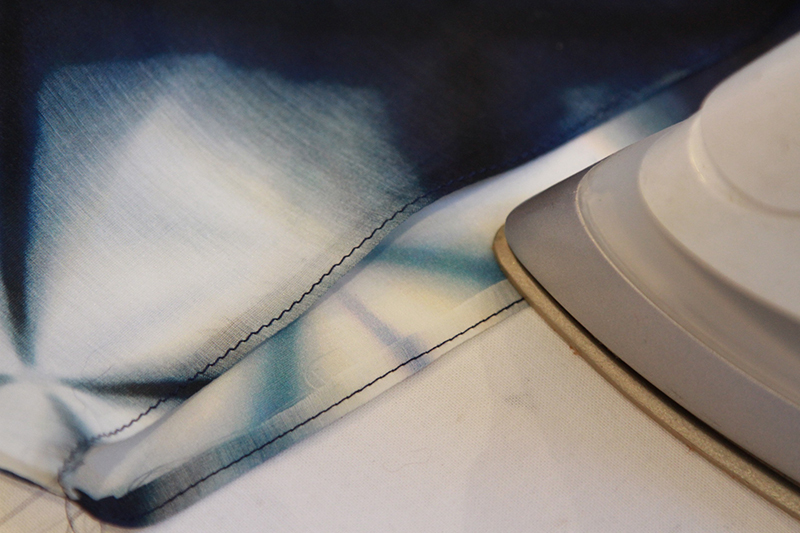 We will be sewing the hems using rolled hems. If you’ve never sewn a rolled hem before, you might want to practise on a scrap piece of fabric before attempting it on your Kimono. 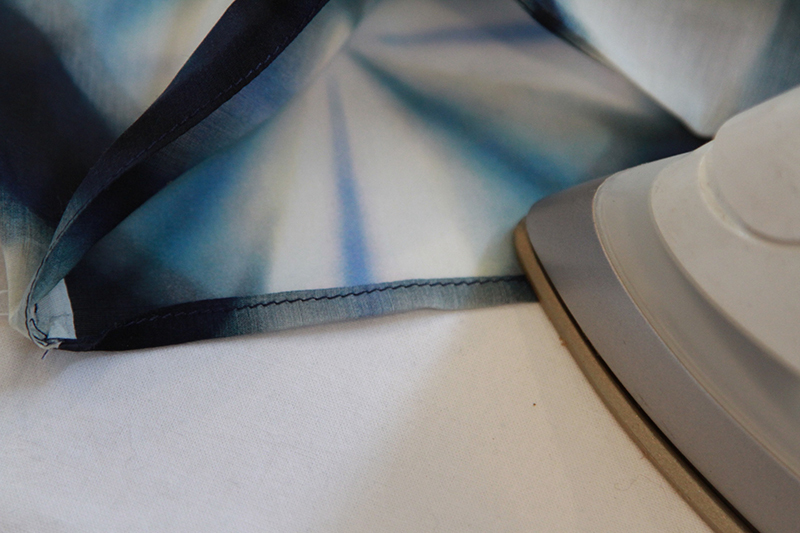 It’s actually very easy but it can get a little bit fiddly as you are turning the fabric over by 6mm. Be careful when pressing not to burn your fingers! 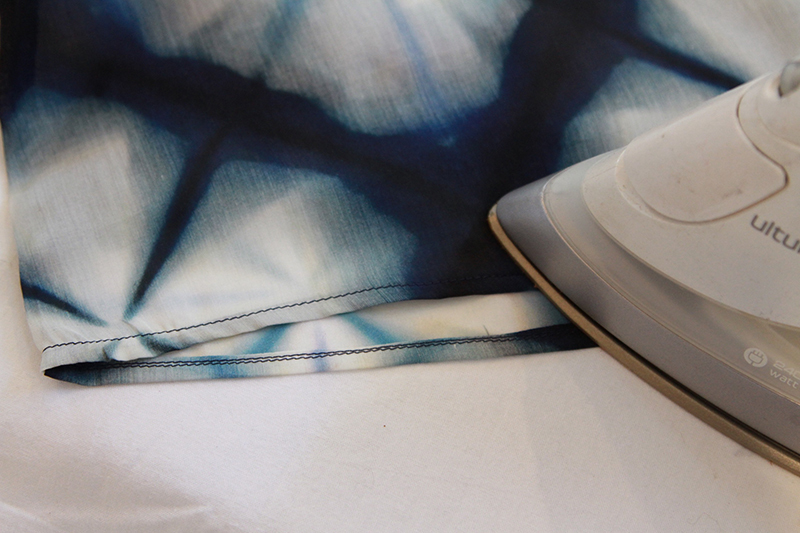 If you are a more experienced sewer you may want to sew your rolled hems using a machine rolled hem foot. 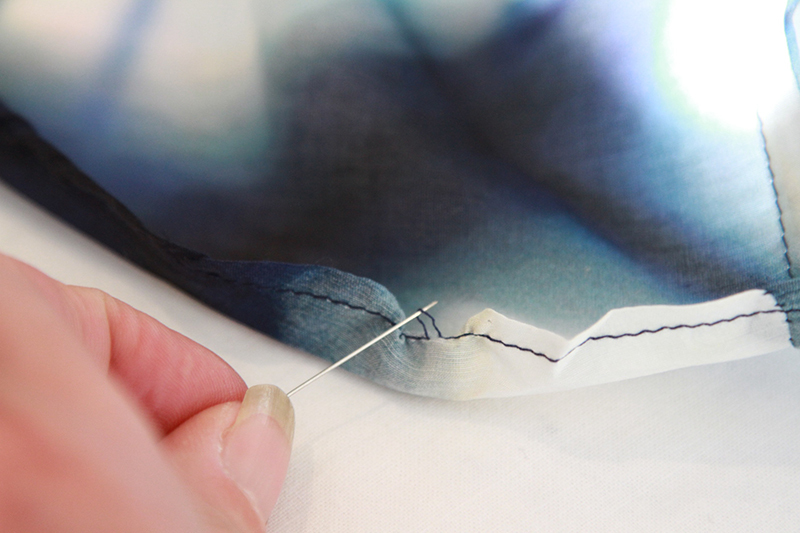 To sew a rolled hem, fold fabric over 6mm and press lightly. Stitch close to the folded edge and press again. 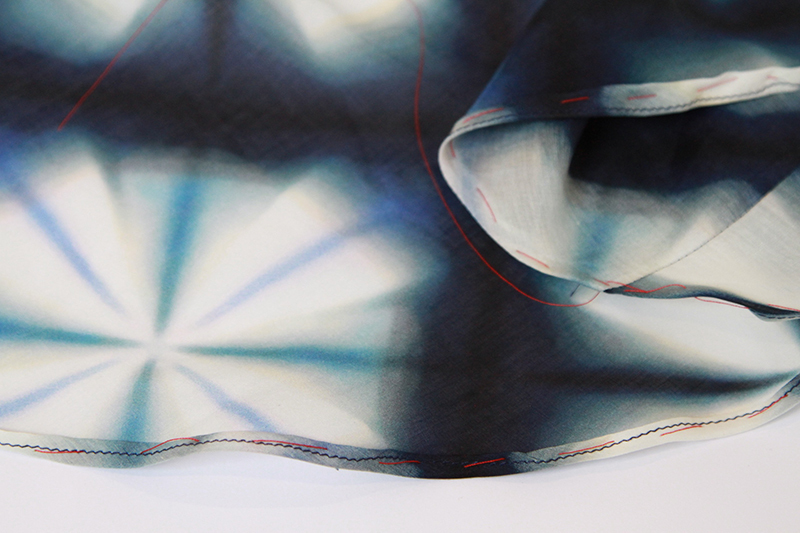 Fold fabric over 6mm again and press. Stitch on top of the previous stitching line and lightly press again. Using the rolled hem technique, hem the sleeves and the entire hemline. 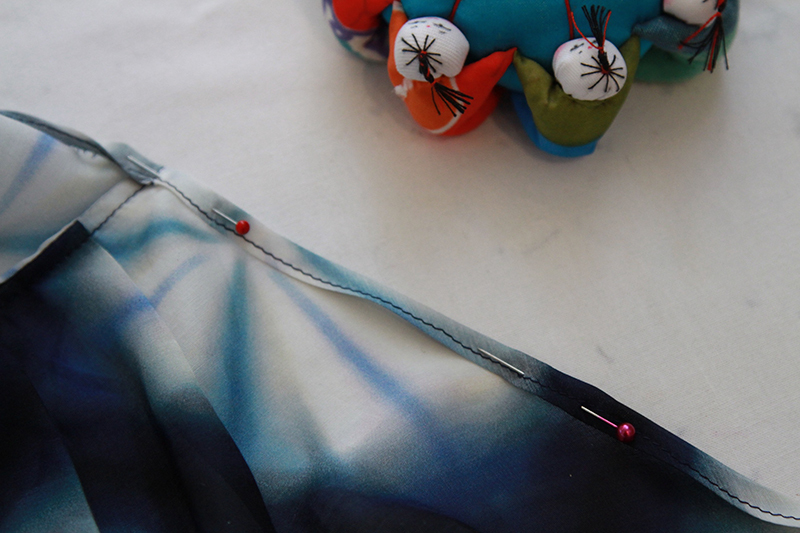 With the hemline, make sure you pin and baste before sewing as the curves can get a bit fiddly. 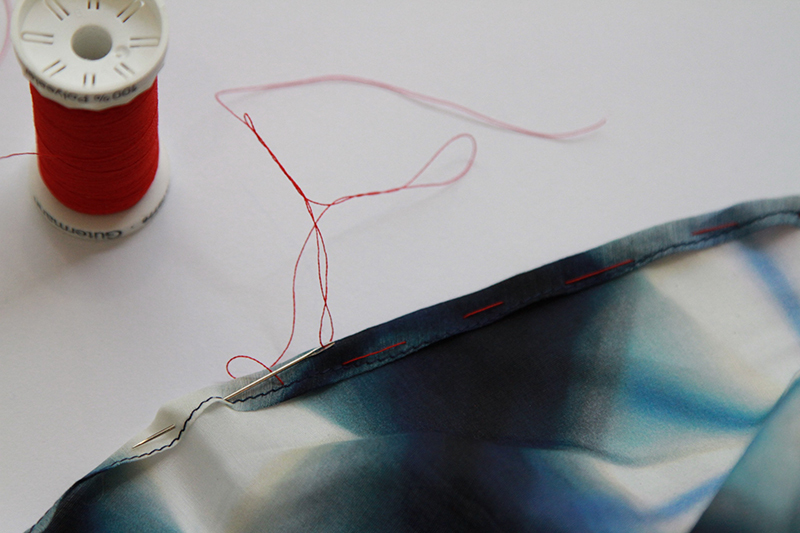 When you have sewn your first row of stitching, you can pull up a stitch to help smooth the curved hem into place . Basting takes a little time but will help hold it in place really well and then when it comes to machine sewing it will be much easier and more precise. 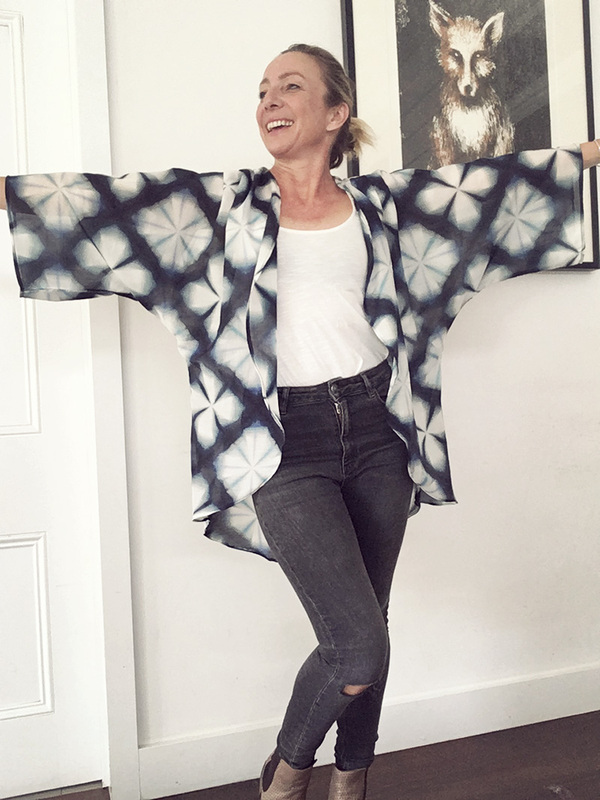 Voila, you have a gorgeous kimono to throw on! 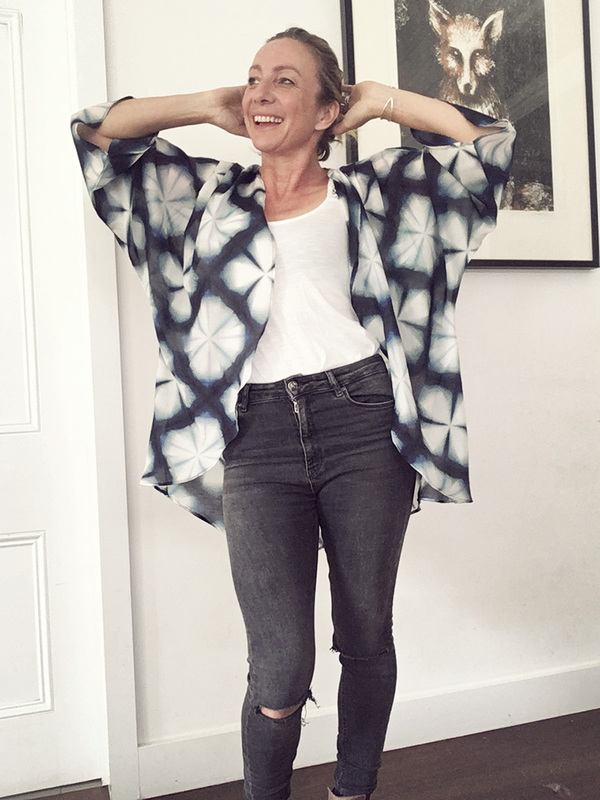 I hope you have enjoyed sewing your Venus Kimono and I can’t wait to see what you have made. Upload to your own blog and link to Sew This Pattern. I’ll be doing a makers round up and posting it to my blog next week so make sure you send some great pics through!